← Reggae Ramen… or Rah-mon! Finally! 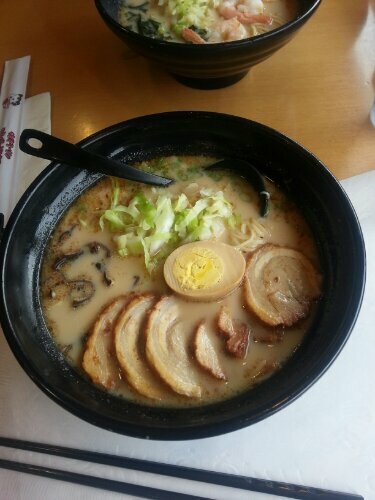 After almost two years of dating, I convinced Aaron to eat authentic ramen with me. He was always pretty skeptical of driving far just for a meal, but I did want to bring him somewhere where we can have fun after we ate. I took Aaron to Ajisen because there are several different bowls of ramen to choose from because I knew he wasn’t the biggest fan of pork. 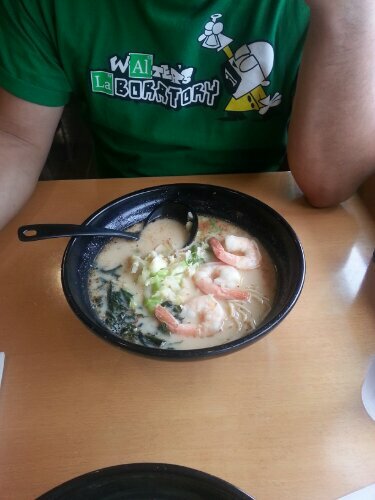 Aaron really just wanted shrimp ramen so he asked for only shrimp and took out the scallops, crab claw, and mussel. And it only left him with three shrimp. Slight bummer but all in all, he liked the ramen. 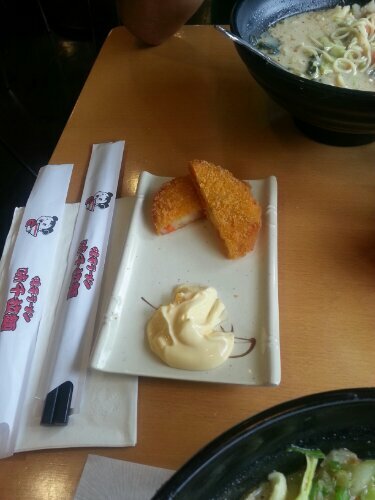 I’m pretty much always happy with Ajisen because they are always consistent. After we ate I wanted to show Aaron around. 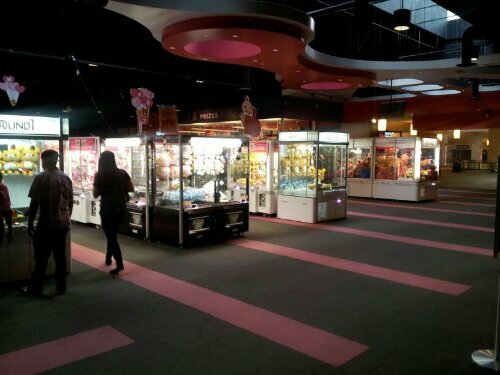 We went to the crane machine arcade in the Yes plaza. Then to the Galleria Korean market and picked up some snacks and then some pastries at Paris Baguette. 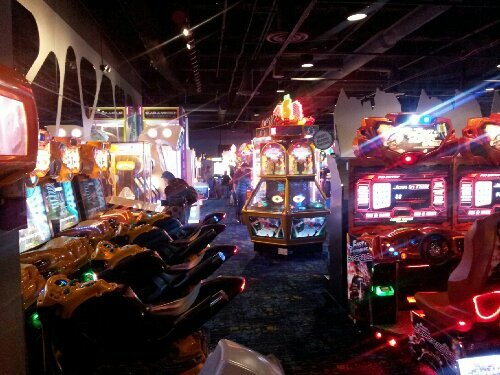 Afterwards we went just a bit further up the freeway we stopped by Round 1 in Azusa in the Puente Hills mall. This place is a lot of fun. 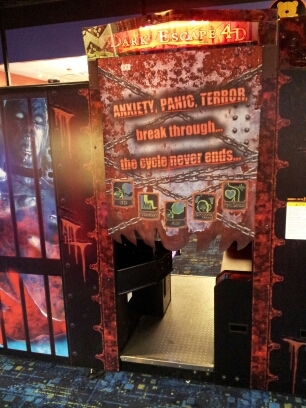 Karaoke rooms, sports lounge, billiards, ping pong tables, Japanese sticker picture booths, rows of crane machine, old school Japanese games, loads of games to choose from. It was hard to take a picture because it was crowded with games. 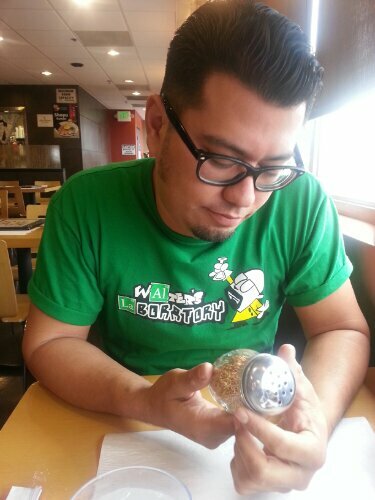 This entry was posted in Ajisen, California, Ramen Run, Rowland Heights, Southern California. Bookmark the permalink.